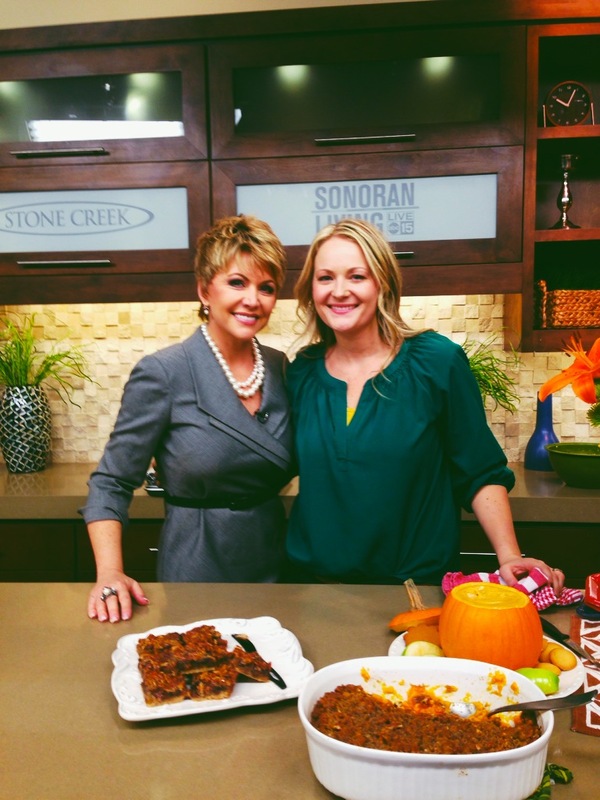 I had so much fun sharing Thanksgiving themed dishes today on Sonoran Living Live, ABC. It was such a great experience. I am so glad that I went out of my comfort zone and did this. My husband reminded me last night, that it’s good to do hard things. I remember when I was a little girl I used to play in the kitchen and set it up like I was doing a cooking class and I bet that little girl would be so mad if I didn’t take this opportunity to do something new and exciting. I am so grateful for all the support I have received from my family & friends. I enjoy writing this blog so much and am so thankful for all of you that are joining me in this adventure. You were GREAT 🙂 It was so fun to watch you! You have done so well with your blog,love it!! Thanks Leslie 🙂 I don't know about great but it was fun!